Like many families who live near the mountains, our family vision of peace includes snow-covered lawns, ice covered trees, brisk weather, hot beverages and conversation. When the children were young, we spent much time watching the snow drift toward earth, making snow angels, sledding, and of course making snow cream. We would enjoy the snowy weather for as long as possible then dash inside to warm our frozen fingers and toes. Afterward, we would make and eat our snow-cream followed by delicious hot beverages. Then came many questions. As with most questions from children, their conversations began with “why?” “Mom, why did you make us come inside? Why is snow white? Why does it stick together? Why does it stand up on trees? Are the trees dead in the winter? Why not? Why can we eat snow? Why do our fingers and toes get cold even with gloves and boots? Often, I had no real answers to their questions. Therefore, my most frequent response was “because God created it that way.” It was a response allowing for discussions about God and His creations. If your family has the opportunity this winter, try some of the following activities to see if you too can discover “why” God created this wonderful peaceful season of winter. In a large bowl combine half and half cream, vanilla extract and sugar. Stir until sugar is dissolved, about 3 minutes. 2. 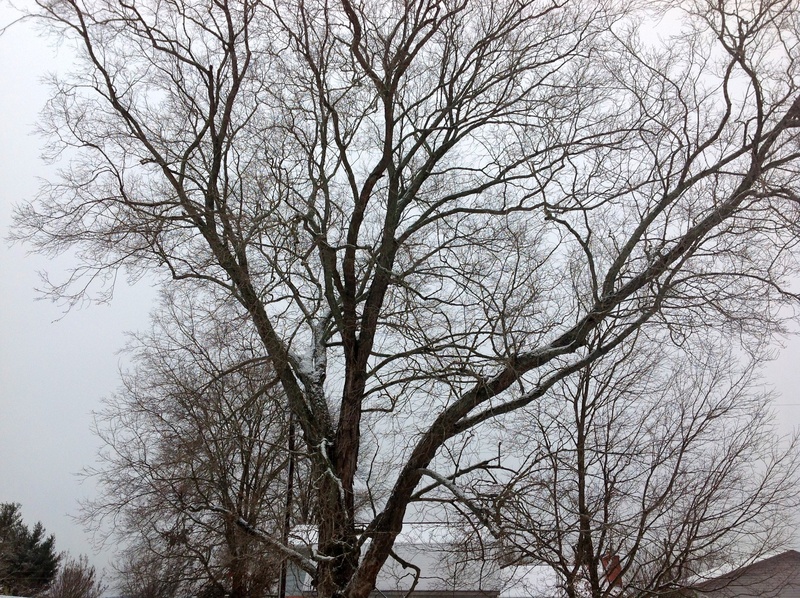 Spend some time talking about trees and the reasons they become dormant in the winter. Also, discuss why some animals hibernate in the winter. What is similar between the two? What is different? Did God rest? Did God create a resting time for us as well? 3. Create a snow rainbow. Fill several spray bottles with water. Put one tablespoon of food coloring in each bottle so that each spray bottle has a different color. Shake each bottle to mix the food coloring with the water. Spray the snow with a rainbow of colors. Discuss why God created the rainbow? Discuss the peace that we feel when we know that God loves us so much that He will never again flood the entire earth. 4. Create a frost pattern on a plate. Find a clean used glass plate (solid color or clear is best). Smear a little hand cream or petroleum jelly on your finger then draw a design on the plate. Put the plate in the freezer beside a plastic beaker of warm water. Wait one or two hours and see what you have created. Discuss why and how God uniquely creates each snowflake just as he uniquely creates each human. 5. Make a Shadow Thermometer. Use a small tree or fence post to cast your shadow. Measure the length of your shadow every week at noon (perhaps Saturday would be a good day). Record the length of your shadow and the date of each measurement. Ask the following questions: Does my shadow get longer or shorter? Why? Why did God create winters with shorter days? Was it to give us an opportunity for restfulness and peace? Hint: The higher the sun is in the sky at noon, the shorter the shadow casts. The lower the sun is in the sky at noon, the longer the shadow.